August Hammer was born 10 Oct 1829 in Hanover, Germany and died in Chicago, IL on 23 Jan 1894. His wife, Caroline was born in Hanover, Germany on 1 May 1832 and died 22 Jun 1900. Both are buried in Wunder's Cemetery, Chicago. For further details, contact the Chicago Genealogical Society. 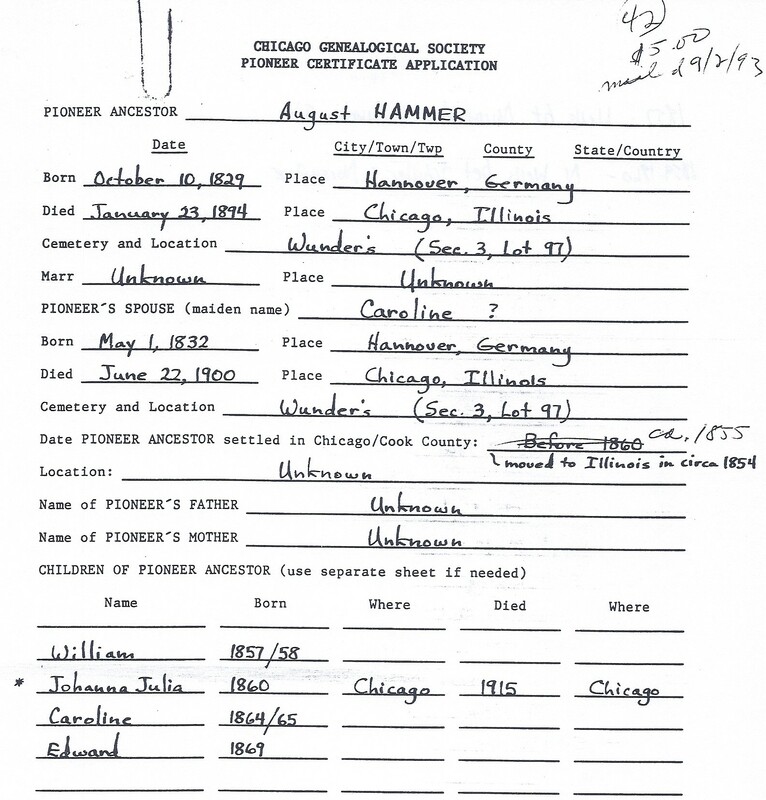 August Hammer is Pioneer Ancestor number 42.